The Valiant thrived in their Jan. 31 match. Another day, another Overwatch League match… this time it was a bout between Los Angeles Valiant and Philadelphia Fusion. Heading into the match, Los Angeles and Philadelphia had identical 4-2 records, placing both just above average in the league. The Overwatch League’s stage one title matches are approaching, and there’s only three slots there. Seoul Dynasty, New York Excelsior, and London Spitfire seem to have cemented themselves into the top three, but there’s still room for movement at the top. So today’s Los Angeles vs. Philadelphia match was important in bolstering a team’s record as the title matches approach; if anyone can knock one of the three top teams loose, Los Angeles, Philadelphia, and Houston Outaws—who also have a 4-2 record—want to be in the fourth slot ready to take up the post. Both Los Angeles and Philadelphia have shown impressive wins in the Overwatch League thus far, but the Valiant dominated today. And it wasn’t even close. Los Angeles were on fire as they headed into Numbani, where they took three points to Philadelphia’s two. Philadelphia pushed Temple of Anubis to a tiebreaker point, but that also went in favor of Los Angeles. Oasis was less of a struggle for Los Angeles with the hometown team taking a quick two points. With three maps on the board, Los Angeles were deemed the official winner of the match, but a fourth map was played, as always, for map score—and that one went to Los Angeles, too. Los Angeles head into their next match on Feb. 3 against Boston Uprising looking strong. Their dive, in particular, looks very good, but the team isn’t afraid to try something different, which is what they did on Oasis. That’s where famed Tracer player Terence “SoOn” Tarlier showed up his superb Zarya play, paired with some clutch hammer swings from Koo “Fate” Pan-seung on Reinhardt. 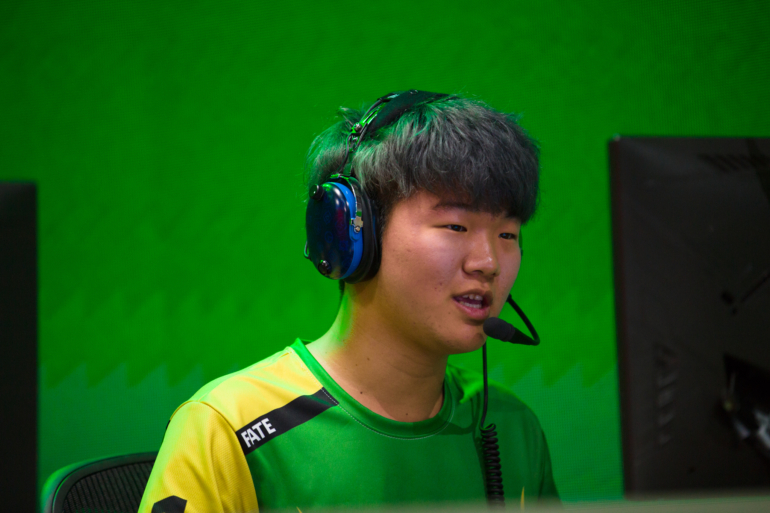 And it wasn’t Philadelphia’s Gael “Poko” Gouzerch on D.Va who impressed on Oasis (he wasn’t playing), but instead, it was Lee “envy” Kang-jae. What was supposed to be a wombo combo using Zarya’s Graviton Surge and D.Va’s Self-Destruct just ended up rendered useless because of Fate’s dang good Reinhardt swings. By the time the D.Va bomb got there, Fate had already knocked each of the Philadelphia players out. The Reinhardt and Zarya combo took out most of the Philadelphia team, leaving the rest to be cleaned up by the Roadhog and Moira players. Los Angeles move on to their Boston bout with a 5-2 record, while Philadelphia will meet Dallas Fuel on Feb. 1 with a 4-3 ranking. There are enough games left still to really shake-up the standings, but if Philadelphia falls again, they’re unlikely to make the title matches.